Cowl and Scarf Sizes can be challenging to figure out, to say the least, so I am going to make it easier for you! 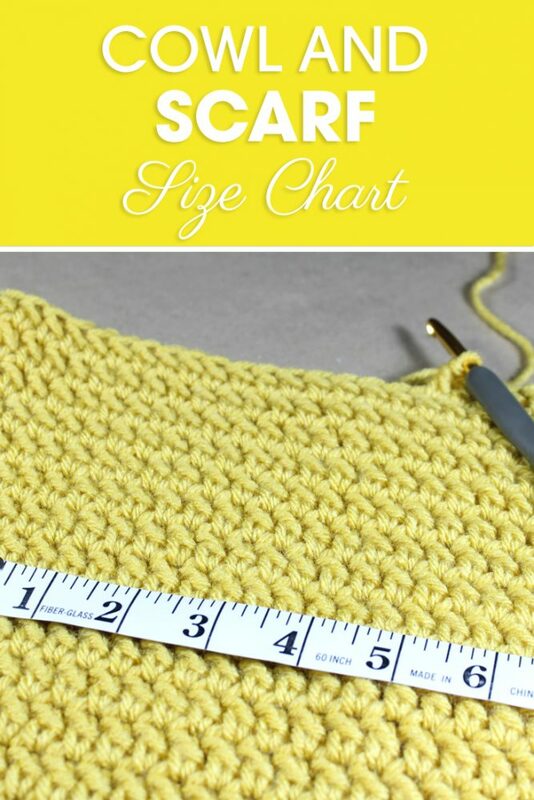 I have done the hard part for finding the perfect measurements for each size, all you have to do is use the measurements. So it’s time to make cowls and scarves for your 2-year-old to adults! Thank you so much for all your time and effort, and thank you for sharing it with us. Can’t wait to start crocheting those cowls and scarves! I’ve been gradually learning new stitches and am looking forward to using them. Your measurements will make things easier! You’re welcome and I hope you enjoy! Thank you for your research and generosity! Thank you so much! Just starting on my scarves for Christmas!